The main thing about any kind of speakers is their audio performance. 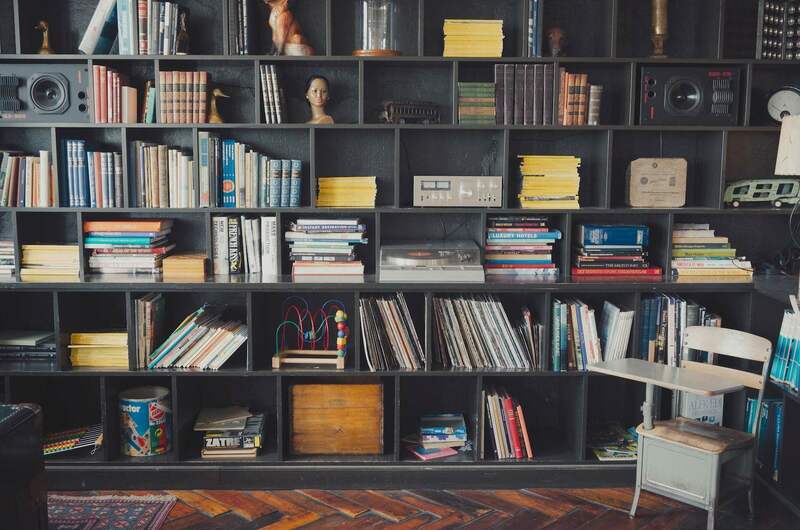 But, when you’re buying bookshelf speakers, there’s another factor that you need to take into the equation – the speakers need to look nice in your room. Of course, those are just some of the things you need to take into account before making your final decision. In order to find a perfect set, you will have to do a little bit of work. You can’t think of bookshelf speakers as nothing else but units that create sound. They’re much more than that; they’re a part of the furniture that can add a whole new touch to your interior design. Or, they can ruin it. A set of bookshelf speakers that stands out either with its design or its audio performances has the power to alter the harmony of your room. All of this means that you will have to do some research in order to find your ideal set. To help you out with your quest, we’re now gonna discuss the key features that bookshelf speakers need to possess in order to be called the best. Multi-functionality – The thing about bookshelf speakers is that they need to be able to perform all kinds of audio tasks. What we’re trying to say is that they need to do an equally good job regardless of whether you’re using them for your TV, home cinema system, computer, turntable, etc. Audio performances – Unless the speakers are capable to produce clear sound with absolutely no distortions in all frequencies that the human ear can hear, they don’t deserve to be called the best. Compact size – The speakers need to have a compact design, so you can fit them anywhere you want. Otherwise, they would look as they don’t belong there. 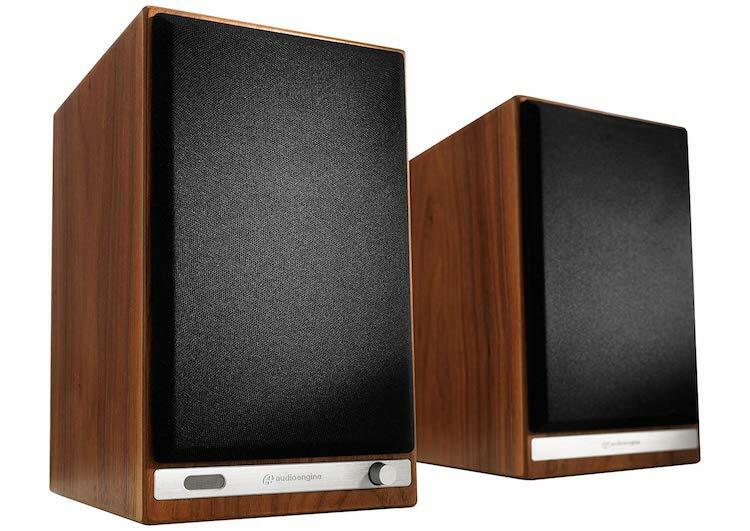 Quality & durability – The bookshelf speakers you buy need to work fine for a long time without breaking along the way. A way to determine whether a set of speakers is durable is to take a look at its warranty. The longer, the better is the rule. Affordable price – You surely don’t want to spend your entire home budget on a set of bookshelf speakers. The good news is that these days you can find some really amazing speakers at a really reasonable price. So, how are you supposed to find bookshelf speakers that match all of these criteria? Well, not easy, we can tell you that. But, worry not, because we’ve done the hard work for you. We’re picked out 10 speaker sets that really deserve your attention. Yours is just to go through these bookshelf speaker reviews and choose the set that best suits your preferences. So, here we go! Here are our top 10 picks for the best bookshelf speakers on the current market. Choose one of these and you won’t go wrong! The first set of bookshelf speakers on our list is SVS Ultra, a pair of bookshelf speakers with high-gloss piano black finish that gives them a classy touch. If this style isn’t your cup of tea, you can go with the alternative, which is black oak veneer. Each unit features a one-inch aluminum dome tweeter, as well as 6.5-inch cone made of composite glass-fiber. What this means is that this two-way system can reproduce audio in a wide range of frequencies. In fact, the frequency response of these speakers starts as low as 45 Hz and goes all the way up the 32 kHz. It’s needless to say that the audio quality in all of those frequencies is just flawless. A few more specs worth mentioning – the sensitivity rating of the speakers is 87 dB, while the nominal impedance is 8 ohms. Superb audio – Until you hear it in person, you won’t believe how awesome the audio made by these speakers sounds. Classy design – The manufacturer did a really wonderful job with the design of these speakers making them look both classy and modern at the same time. Reasonable price – We think there’s no way you would be able to find better bookshelf speakers for a price of less than a thousand dollars. Kind of large – These speakers seem kind of chunky, with the size of each being 14.9 x 8.5 x 10 inches. They’re also pretty hefty, with each unit weighing 19 pounds. The only issue we have with the speakers we reviewed previously is that they’re pretty large. If you’re looking for a set of smaller bookshelf speakers, KEF LS50 might be exactly what you need. With the size of 11.9 x 7.9 x 10.9 inches, you will be able to fit them anywhere. And apart from being compact, they’re also pretty awesome in terms of looks. The fact that they’re small may make you think that they’re not too powerful. But, just the opposite is the truth. These speakers have the sensitivity of 86 dB with the maximum output being 106 dB. Their frequency range is 79 Hz – 28 kHz, meaning that they will be able to provide you with a really bone-shaking bass. Amazing design – They look nice and are very compact, so you will be able to fit them anywhere you like. Impressive power – With the maximum output of 106 dB, these speakers are super-powerful. Price – With the price of over a thousand dollars for a pair, KEF LS50 aren’t the cheapest bookshelf speakers on the market. If you thought that you had to spend a bunch of cash in order to get yourself a pair of top-quality bookshelf speakers, you were very wrong. You can find all kinds of speakers that have breathtaking audio performances, but which come with a price tag that’s more than reasonable. Dali Zensor 3 are definitely one of those. Everything about these speakers seems decent, starting with their design. They look pretty classy and are very compact. Of course, that doesn’t mean they aren’t powerful. On the contrary, with 106 dB maximum output, they’re as powerful as many much pricier models. Frequency response – These speakers can reproduce audio in the frequency range between 53 Hz and 23.5 kHz. Affordable price – These speakers are among the cheapest on our list. One color available – Dali Zensor 3 are available only in one color with a classic design that some might find boring. Created by acclaimed tech designer Andrew Jones, these speakers are guaranteed to look nice on your bookshelf. 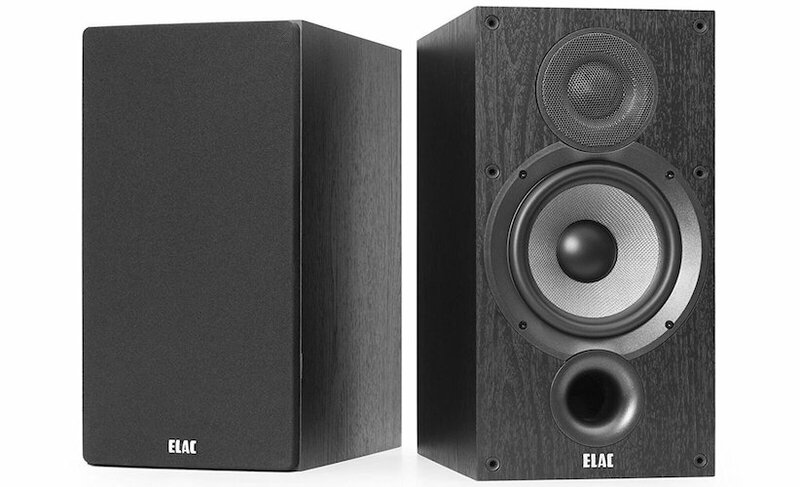 Apart from their beautiful design, ELAC Debut 2.0 B6.2 have so many other things to offer. First of all, they’re capable of producing crystal-clear sound in a wide range of frequencies (44 Hz – 35 kHz). They’re also pretty powerful, with their sensitivity being 87 dB and their maximum power output standing at 120 Watts. The final reason why we recommend them with all our heart is the fact that they’re really cheap. Classic design – Designed by Andrew Jones, these speakers are bound to look nice wherever you place them. Power – You can be sure that these speakers are gonna shake every bone in your body if you turn the volume up. Sturdiness – Some users have mentioned that the finish on these speakers isn’t great and that they can get damaged easily. 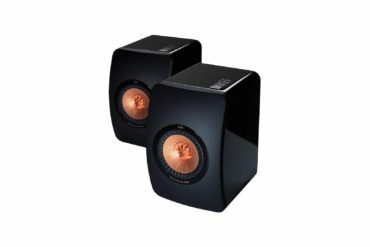 If you don’t want to spend too much money but you still demand quality, these speakers might be exactly what you need. The Edifier R1280T can reproduce the audio at a pretty decent quality in a wide range of frequencies. They might not be too powerful but you can’t ask for more from such a compact speakers available at such a decent price. Design – The use of real wood always looks nice but Edifier’s designers have really done their job well with these speakers. They are, without any exaggeration, among the most beautiful bookshelf speakers on the current market. 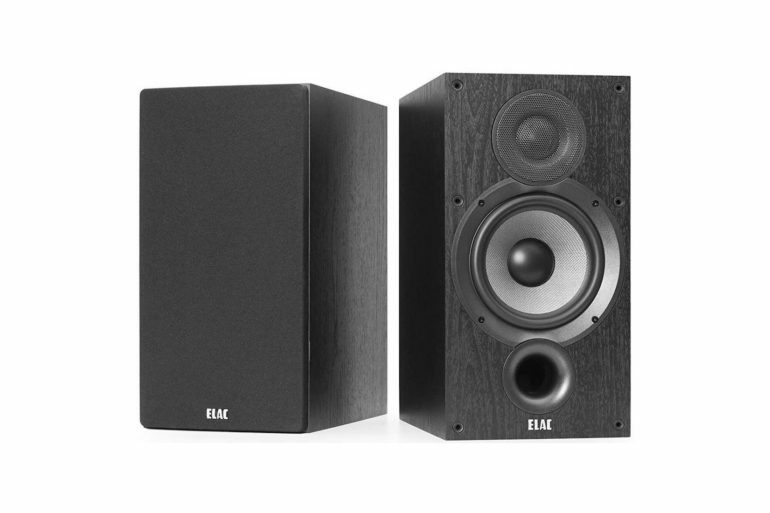 Affordable price – Edifier R1280T are budget speakers that have the specs like some much more expensive products. Not too impressive audio performance – If you’re searching for bookshelf speakers that can provide you with studio-grade audio quality, it’s best to look elsewhere. Manufactured by one of the most reputable companies in the world of audio equipment, Klipsch The Sixes are bookshelf speakers that are guaranteed to impress you with their audio performances. This goes especially for the audio quality in the mids, although the speakers can reproduce the sound in a wide range of frequencies. Beautiful design – Klipsch designers were obviously inspired by the look of the classic speakers from the 1960s when they came up with the design of The Sixes. Amazing audio quality – We’re sure there’s gonna be a smile on your face when you set these speakers play your favorite music. 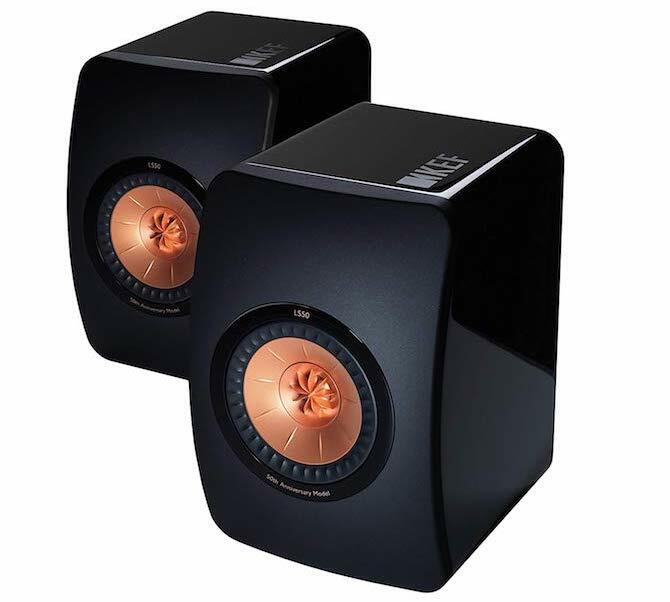 Reasonable price – For the price of less than a thousand dollars you will get a pair of almost flawless bookshelf speakers. Durability – Some user reviews suggest that these speakers are not too durable, that is, that they start breaking once their 2-years-long warranty is over. We’re not so sure about that, as Klipsch is famous for the durability of its products. The T15 by Polk Audio are by far the cheapest bookshelf speakers on our list. But, the fact that they’re cheap doesn’t mean that they’re cheaply made. They’re actually pretty sturdy and you can expect them to serve you well for years, even if you push them hard. And you will definitely want to play them loudly. Their sensitivity is pretty decent (89 dB) and their peak power handling is 100 Watts. Decent mids – The audio quality is pretty decent, especially in the mids. That said, these speakers do reproduce audio in much lower and much higher frequencies. Their frequency range is 60 Hz – 24 kHz. 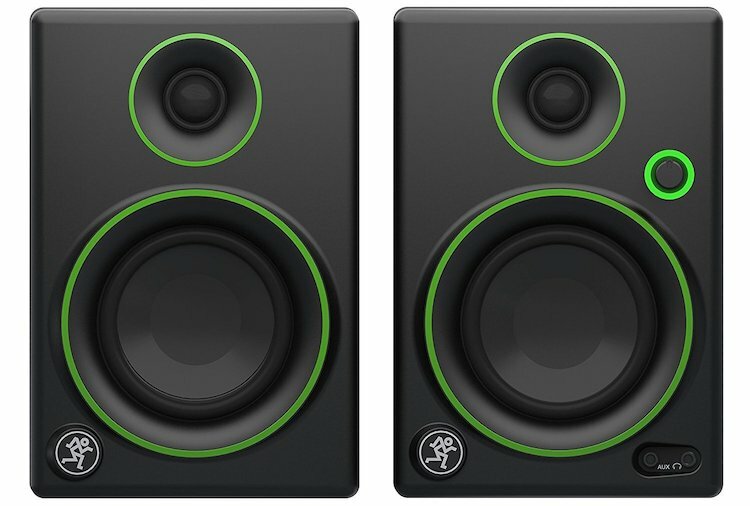 Budget bookshelf speakers – The fact that their price is less than a hundred bucks means that you definitely need to give them a chance. Bass – Well, you can’t expect sensational audio performances from such cheap speakers. But, considering their price, they’re pretty impressive. We’re sure you’re gonna fall in love with the design of these speakers. Still, the main reason why they got themselves a spot among our bookshelf speaker reviews is that their performances are fantastic. What really makes them stand out is that they are able to reproduce audio that’s crystal clear, especially in mid-range frequencies. They do lack a little bit of punch, although Audioengine HD6 can play audio at very low frequencies. Terrific design – We think everyone must love the design of these speakers. They look lovely and their classic style seems suitable for fitting in with any kind of furniture. Distortion-free sound – The audio quality these speakers make is top-class, especially in the mid-range frequencies. Bluetooth speakers – There are no wires! You just need to connect them to your phone or computer and you’re ready to go. The best thing is that there’s also a remote included in the package, which you can use to turn the speakers on and off, adjust the volume, and whatnot. They lack punch – They don’t sound too powerful and the bass they create doesn’t leave a too strong impression. There’s really no reason not to spend all your savings in order to get a pair of decent bookshelf speakers. 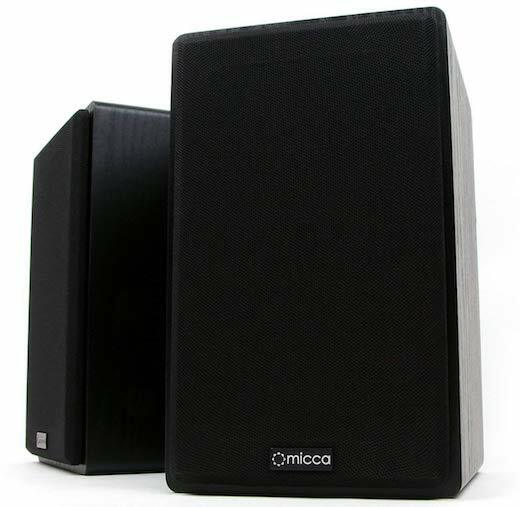 If you’re not looking for spotless performances, why not get yourself Micca MB42 speakers? They look fine, provide clear audio in mids, and most importantly, they’re extremely cheap! 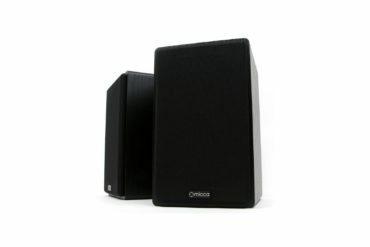 Classic design – The speakers are monochrome and their classic black design makes them suitable for any room. Very affordable price – You really don’t need to spend too much cash in order to get a pair of decent bookshelf speakers. Audio clarity – The fact is that the audio performances of these speakers aren’t too impressive, but then again, you can’t expect wonders from such a reasonably priced product. 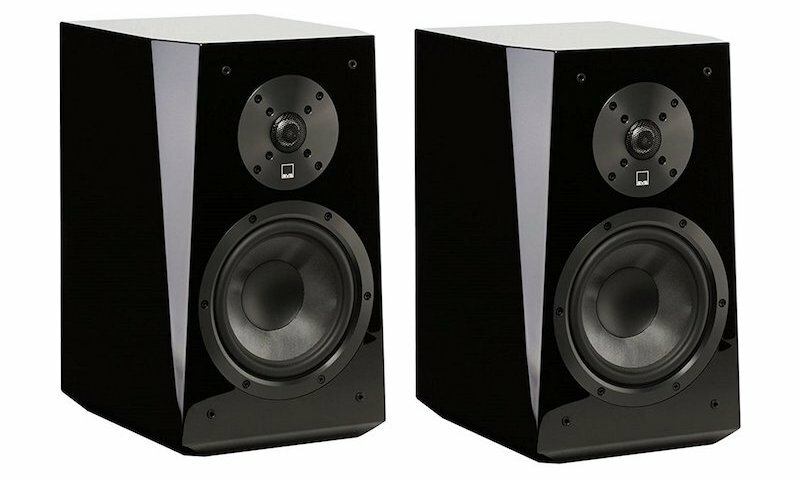 Although the Mackie CR3 CR are not capable of reproducing studio-grade audio quality, nor they’re too powerful, these speakers definitely deserve your attention. Why? Well, first of all, because they’re cheap. They also look really nice and come with some pretty interesting functions. For example, they have a Bluetooth adapter, meaning that you can pair them with your phone/computer and stream music directly. Bluetooth – There’s no need for any wires to connect them to your computer or smartphone. 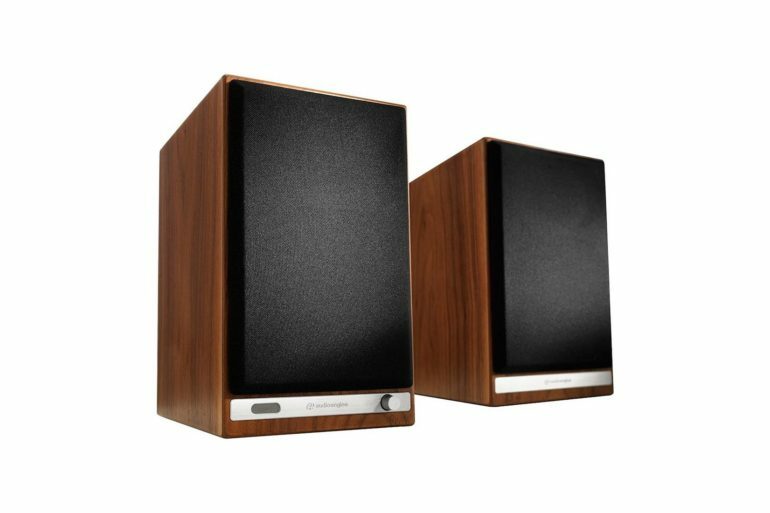 Price – For less than a hundred bucks you get a set of pretty decent speakers. Audio quality – Generally speaking, the audio quality of these speakers can’t compare to most other speakers on our list. Still, considering their price, they’re definitely a good choice. 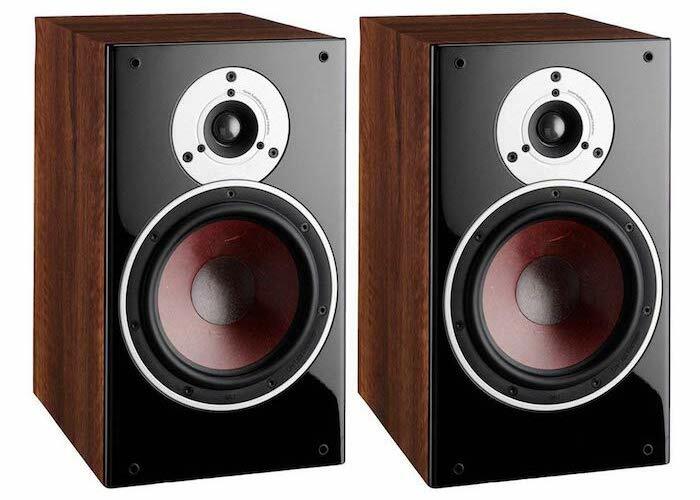 Why You Ought to Get Yourself a Pair of Bookshelf Speakers? Now that you know which bookshelf speakers are the best, it’s time to discuss whether you need them or not. We honestly believe that everyone should possess this type of monitors. Why? Because bookshelf speakers are great audio systems that can fulfill a large number of tasks. They can serve as reliable speaker systems for a television, a computer or a turntable, but they can also be connected to existing systems, as part of a home cinema system. Their flexibility and size make them ideal for those who do not have a lot of free space in their living room, or who are looking for a small but powerful audio system for their desk. Depending on their placement, they can either blend in with other furniture and audio equipment or they can be put on display. And some of the models that are currently on the market certainly look the part. Although they are relatively small, most bookshelf speakers that come from large manufacturers have a large variety of technologies developed to ensure that they will always produce crystal-clear sound. 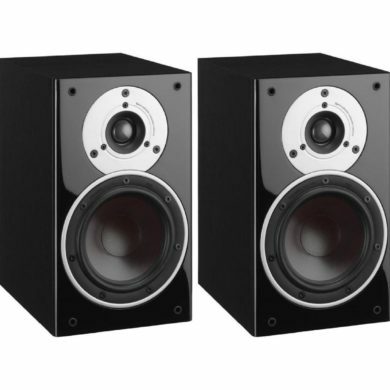 As with other products, the prices of bookshelf speakers vary with model and manufacturer, however, each of them is designed for efficiency and quality of sound. Whether you’re looking to buy a fairly basic sound system for a computer or want to get a flagship speaker set for a turntable, there is something for everyone. What to Consider When Looking to Buy a Bookshelf Speaker Set? Making an informed decision is extremely important, even when it comes to more affordable speakers. The right model will not only last for quite a few years, but will also fit into the décor of your room, preventing situations where you may try to hide it or cover it up. Consider which features you need – Different audio systems come with different features. While a model such as the Dali Zensor 3 may be great as part of large home cinema setup, in which not a lot of connectivity is required, you should establish if you want Bluetooth and USB connectivity, along with other features, before making a purchase. Amp or no amp – All bookshelf speakers work through an A/V connection, however, far more power is needed in order for them to reach their full potential. You will need an amplifier in order to supply this additional power and this may mean and that an additional purchase is required, as well as the fact that you will have to make room for another piece of equipment. If you are not willing to buy one, look for a system that comes with an integrated amplifier. Consider if you need a subwoofer – The woofers in many of these systems work wonderfully and manage to create a beautiful, deep bass. However, if you love bass and want to feel the walls trembling when you crank up the volume, you may need to consider purchasing a subwoofer to connect to the system. The importance of the frequency response – The thing about bookshelf speakers is that they’re meant to be used for a variety of purposes. Therefore, they need to be able to handle different audio tasks. And that leads us to the thing called frequency response. The frequency range that the human ear can register is somewhere between 30 Hz and 20 kHz. If the speakers can cover those frequencies, great! But, even if they can’t tackle some too low or some too high frequencies, it shouldn’t matter much, as long there are no distortions created along the way. The power of the speakers – the power output and the sensitivity of the speakers are the specs you definitely need to check. The rule is: the higher the better. And the reason is not just that the speakers will be able to play the music loudly. The more powerful they are, the harder they will be to break if you push them to the limit. Audio quality vs. price – Do you really need to have studio-grade speakers in your living room? The chance is that you probably can’t spot a difference in the sound quality between a set of bookshelf speakers that cost a few hundred dollars and those that cost a few grand. So, why waste your money? Warranty – The rule of thumb is to stay away from the products that have no warranty. It’s because warranty keeps your mind at peace, knowing that if something goes wrong with the speakers, the manufacturer will have to take care of it for free. Unfortunately, in most cases, the warranty lasts only a year or two, so how are you supposed to know if the speakers will continue working fine after that period? Well, there’s a trick to determine the durability of a product. You just need to take a look at who’s made it! Big-name brands have established their reputation by manufacturing top-quality products over the years. And they’re not willing to risk it by creating a set of speakers that’s gonna break too soon. So, if you want to get yourself a set of bookshelf speakers that will serve you for years or even decades, our advice is to focus on those that are manufactured by reputable companies. So, which companies can you trust? Here’s a list of manufacturers of audio equipment which we believe are the best on the planet. Their products are bound to serve you well for a long time, keeping a smile on your face with their amazing performances. Polk Audio – This is an American company founded almost half a century ago in Baltimore. They started out as a family business dedicated to manufacture of car audio equipment. Over the years, as the company’s popularity grew bigger, they started dealing with other types of products. 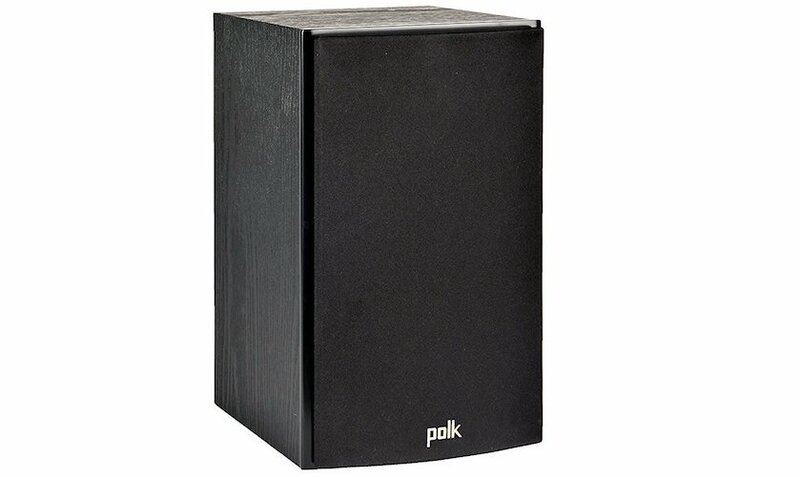 Today, Polk Audio manufactures a wide range of audio items, including bookshelf speakers. Klipsch – With the business tradition of more than 70 years, Klipsch is a US-based manufacturer famous for the audio quality of their speakers, as well as their durability. 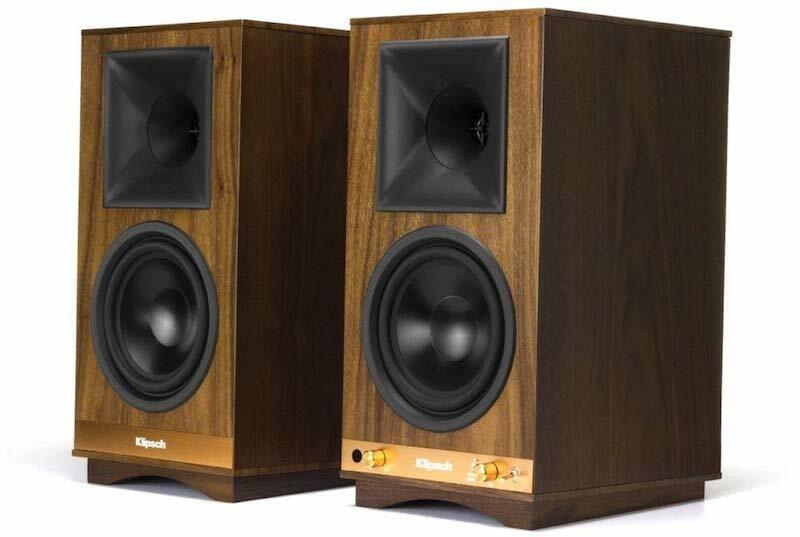 If you want to play it safe, just pick a pair of speakers from Klipsch’s line of products. 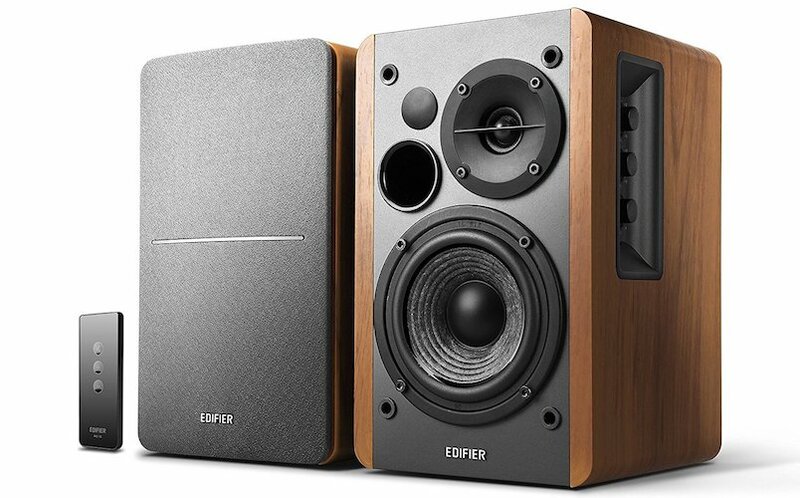 Edifier – This is a Chinese company that’s been in the business since the mid-nineties and has sold a really huge number of bookshelf speakers over the years. The fact that most of the buyers of those speakers are super-satisfied with them means that you definitely need to keep an eye on this company. SVS – This manufacturer has a kind of cult status among true audiophiles. The reason is that their products are simply sublime in terms of audio performances. Take SVS Ultra for example, a pair of bookshelf speakers that not just look amazing, but also sound wonderful. Mackie – Here’s another American company that’s been in the business for decades. Mackie products are designed and manufactured by audio aficionados for audio aficionados. So, if you’re one of them, you definitely need to take a look at what Mackie has to offer. Apart from these, there are a few more companies that deserve your trust. Some of those include Sony, Pioneer, KEF, Audioengine, and so on. These are only a few pointers regarding what you may want to consider before purchasing a bookshelf speaker system. These systems are great general-purpose audio systems. However, it is important to understand that they are not all-in-one products that can do everything perfectly, with the exception of a few models. Make informed decisions and shop carefully in order to ensure that you get the equipment that works best for you!